Now that all of my Reformed friends are up in arms, let’s talk. This post is the result of a conversation I saw the other day in which a group of Calvinists (I presume, at any rate) were discussing the false teaching and heresy of Arminianism. Not being a Calvinist I took umbrage at the conversation. There is much to be said for Reformed theology. I very much appreciate its view of the supremacy and sovereignty of God. Too often Xians have such a small view of God and try to live life as though we ourselves are sovereign. We aren’t. While I wouldn’t call myself a hard-core Arminian, I do believe that God’s initial action towards humanity requires a human response. In that sense, we are free to decide to respond positively towards God in faith or we can choose to reject the Gospel. The biggest problem I had with the conversation I saw was the fact that these Xian brothers were labeling a position contrary to theirs as false teaching and possibly heresy. This was disheartening, for I have never thought of my Reformed friends as heretics or false teachers – simply people who disagree on some points of Xian theology. We are often too quick to label anything that disagrees with us as heresy. We then quickly set up walls to separate ourselves from those who disagree with us. What I find humorous is that the Greek word for heresy (hairesis) developed in the Bible to mean schism or faction. Thus the Apostle Paul seems to suggest that a heretic is a person who is divisive or factious (see Titus 3:10). All said and done, I have no beef with Reformed Xians. I have found them to be good people who take faith seriously. But, while some people fear the word ecumenical, to some degree there needs to be leeway for us to disagree on elements of faith and theology while still holding to the essential core of Christian doctrine. Because, to someone else, we’re all heretics in one way or another. 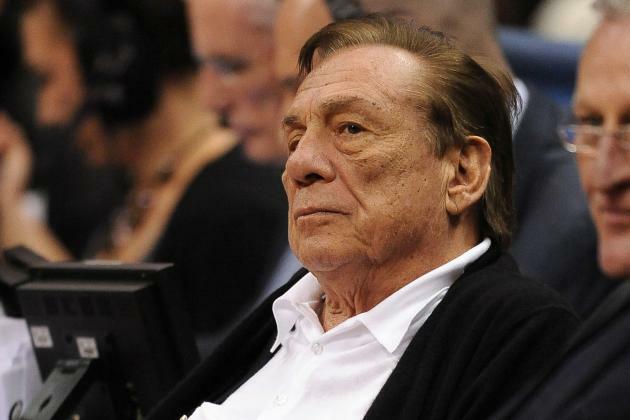 By now most people have heard of the drama regarding Clippers owner Donald Sterling and his racist comments. We should be outraged, but we’re being outraged by the wrong thing. We shouldn’t be outraged by his racist remarks. His racist attitude wasn’t a secret. People have known about it. Racism isn’t new to this country, and it certainly isn’t going to disappear any time soon. In fact, the whole idea of freedom in this country is that people are allowed to believe and speak what they believe without fear of punishment. That means you can believe any idiocy you want to believe. You can share that idiocy with others, and you won’t have action taken against you. Is Sterling an idiot? Clearly. He has a fight with his 1/2 Latina 1/2 African American girlfriend about his negative feelings towards minorities. As the owner of an NBA team he doesn’t want his girlfriend to be advertising that she hangs out with brown-skinned people. Yes, this man is an imbecile. Stop calling for his team to be taken away from him. He owns it. You can respond by not buying Clippers merchandise. You can refuse to attend games. But don’t threaten punitive action for someone’s personal (even though idiotic) beliefs. It opens the door for action against faith groups – it’s a dangerous road to walk. That’s not what we should be outraged about. What we SHOULD be outraged about is a married man who has a girlfriend on the side. But nobody is saying a word about this. Why are we not upset about this man flagrantly living an adulterous life? We seem to have selective morality here. We’ll ignore the girlfriend part but, WHAT’S THIS! HE MADE RACIST COMMENTS?!? CRUCIFY HIM! As a white man married to a brown-skinned woman, I found his racist comments to be disgusting. I couldn’t even listen to the whole audio clip. But I’m not gonna change the opinion of a racist old white dude. His opinions are his to own. That’s his right. I just wish we would get outraged about the right things. Do You Struggle With Misplaced Blame? In this next installment about misplaced guilt and misplaced blame, I wanted to touch on misplaced blame. Often times if we do not take on someone else’s guilt, we are placing blame on others for the guilt that we rightfully carry. Sometimes when we begin to get prideful or allow our priorities to lead us places outside of God’s will or provision, we take to blaming others wrongly for our current state and allow that blame to make us jaded to the leadings of the gospel. My mother requested that some of her life insurance money go to buy me a new car upon her death. After she passed, in my senior year of high school, I ended up receiving a really awesome Chevy Cobalt. I loved that car and in many ways it became an idol in my life. I spent more money taking care of that car than I should have, washing it twice a week sometimes, using that car as a symbol of my status as a man, and even placing my identity in that car as opposed to Christ. Fast forward several months, I was dating a girl that I knew I shouldn’t have been dating. My best friend had called me earlier that night wanting me to come over to his house so we could finish recording some parts to some songs we had been working on but I declined thinking that I’d rather go out with my girlfriend that evening. On our way home from our date, we ended up getting into a wreck that totaled the vehicle. I found myself blaming the people who hit me, blaming the officer who wrote me the ticket (wrongly, I might add), and even blaming my ex girlfriend for the accident. That misplaced blame turned into hatred and I allowed that hatred to grow and fester in my heart until it ruined several other relationships that I had with other friends. I blamed everyone but myself for that car being totaled. It wasn’t until sometime later that I realized that had my heart been in the right place, I would not have been in that accident much less dating that girl. I knew that how I was living my life was not at all how God wanted me to live it, but my heart was hardened and I chose to go my own way. Because I was so sure of my superiority, I could not bring myself to even think that I, of all the mere mortals surrounding me, could have erred. This is nothing new. The bible has numerous examples of hardened hearts, in the story of David and Bathsheba; David’s heart was so prideful that he counted all that he had and ruled over, saw a woman that he did not have and wrongfully took her into his bed. When she became pregnant, David a attempted to blame her husband, Uriah, and when his plans failed, he had her husband killed. David lived with his hardened heart, not even batting an eyelash that what he had done displeased God. After the baby had been born, Nathan the prophet came to David and told him about a rich man that stole a sheep from a poor man. 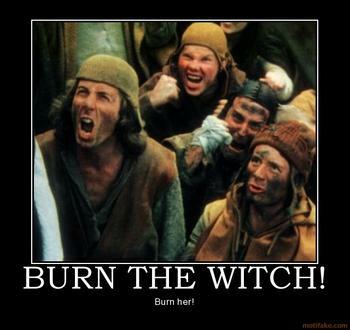 The bible said that David burned with rage and said the rich man should be put to death. It wasn’t even until Nathan said “look, bro, that dude was you,” that David began to understand what he had done as a result of his hardened heart and misplaced blame. When we accept our shortcomings we find that God is glorified in our humility. Literally, all there is to do is to humble yourself and soften your heart and take in forgiveness. Christ died so that you may walk in freedom. “Now the law came in to increase the trespass, but where sin increased, grace abounded all the more, so that, as sin reigned in death, grace also might reign through righteousness leading to eternal life through Jesus Christ our Lord.” (Romans 5:20-21) There is nothing that you can do that Christ cannot forgive. Simply come just as you are; without the guilt, without the blame you place on others, and with an open heart. Come before The Lord in humility that you “may have strength to comprehend with all the saints what is the breadth and length and height and depth, and to know the love of Christ that surpasses knowledge, that you may be filled with all the fullness of God.” (Ephesians 3:18-19) Forgiveness has been granted to all and best of all; it’s been made free. – Do you Struggle With Misplaced Guilt? Do You Struggle With Misplaced Guilt? I’m happy to be bringing you a three-part series from my buddy Preachers Kid Probs. Originally when I wrote this I had written a post that was around five pages. While I don’t mind reading, I do mind reading my writing because- at least to me- it proves John Calvin’s thoughts on reprobation correct. So in order to save you the perpetual boredom of having to read bad writing I thought it best to break this all up into 3 parts and look at misplaced guilt, misplaced blame, and how we should deal with those things. Today, though, I wanted to talk about the original focus of this article: misplaced guilt. If you’re anything like me, there are some nights that you lay awake in bed, unable to sleep, and find yourself mulling over the day and feeling guilty about something that you had witnessed or heard. Recently a close friend told me about a situation in her life that she felt guilty about and in the course of our conversation we both came to the realization that her guilt had been misplaced. Even more than her, though, I realized that I had a lot of misplaced guilt in my own life. I’m talking about walking in guilt for something that happened to you that you had little- if any- control of. My senior year of High School I chose to hang out with a friend who I shouldn’t have been hanging out with in the first place. I had gone over to her apartment after baseball practice with the wrong intentions and she and I ended up watching Saved By The Bell until close to midnight. Nothing bad happened between her and I, but my heart wasn’t in the right place. I got a call from my dad telling me that I needed to come home sooner than later because our next-door neighbor had killed himself earlier that evening. The police and coroner were still in our cul-de-sac when I got home and had been taking statements and what not from various neighbors. As I was talking to an officer, I asked what time they thought he had taken his life and I found out that it would have been after I had gotten home from practice on a normal day. My heart sank; I thought that if I had been at home I might have been able to keep him from killing himself. Had my heart been in the right place, I would have not been some place I shouldn’t have been and legitimately there might have been something I could have done. Whether that was his wife not finding him in the backyard or being able to save his life- I won’t ever know. Until the other night, I had lived with the guilt that I was somehow involved in that man’s suicide. As I talked with my friend, I told her that you couldn’t feel guilty for someone else’s actions. You can grieve for them or with them, but you cannot take on guilt that you do not have. For a while I had blamed the girl for that night. For a while I even blamed the man who took his own life for putting me in the situation where I felt guilty. I realized that I was placing the blame on everyone but me. Do I blame myself for the situation? In some ways I still do. I’ve come not to blame myself for not being there, but rather I’ve come to blame myself for allowing my heart and thoughts of indiscretions consume my actions to the point that when this unfortunate and heartbreaking event happened, I was taking guilt upon myself for what happened. You want to talk about misplaced guilt? The man that was blind from birth knew all about that. The Pharisees and all the townsfolk said that either he had committed some sin or that his parents had committed a sin so egregious that God struck this man with blindness. When Christ passed by him, “His disciples asked him, “Rabbi, who sinned, this man or his parents, that he was born blind?” “Neither this man nor his parents sinned,” said Jesus, “but this happened so that the works of God might be displayed in him.” (John 9:2-3) The guilt this man had carried his entire life was misplaced. Later on in this story, Christ heals the man of course, and though others try to remind him of his guilt the man chooses to follow and worship Christ entirely guilt free. When you live with guilt that isn’t yours it weighs you down. Think of it like this: all of the sudden you take on responsibility for a transgression that you didn’t commit and have no way to get it off your chest because it was never yours to begin with. It’s like taking someone else’s shift in addition to your own and only getting paid for your own shift. Christ tells us “For my yoke is easy and my burden is light.” (Matthew 11:30) Christ came into the world so that we could walk in his grace unburdened by guilt- both our own and others. Take a second to make a mental inventory of the guilt that you have in your life, if it is truly your own, make amends where amends need to be made and sing in repentance to Jesus Christ. Should you find that you’re carrying someone else’s yoke, take it off. Cast off the shackles that bound you to stones that were never yours to begin with. Christ died so that you may be free and not a slave to misplaced guilt. There is power in the name of Jesus to break every chain! – Do You Struggle With Misplaced Blame?